Buying a HDB flat is a rite of passage for many young Singaporeans. Jeraldine Phneah took one year to find her dream HDB flat. Here’s her story. Jeraldine Phneah is a young Singaporean who blogs about bread and butter issues such as education, economy and family matters. In her day job, she works in the technology industry. Like every average Singaporean, Jeraldine and her husband had been working towards purchasing their own HDB flat. When she turned 26, after working for three years, the couple finally managed to purchase a resale flat in the central area of Singapore with a remaining lease of 86 years. 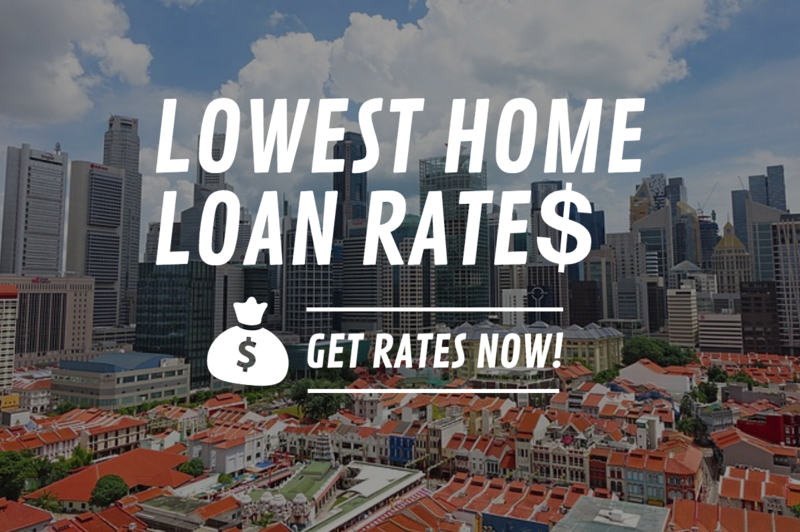 Having been through the journey of working hard and saving up for a HDB flat, Jeraldine is well-aware of the challenges that millennials face today when it comes to finding the right home and financing it. She decided to share her tips and journey to help other young adults. We spoke to Jeraldine on her journey to becoming a homeowner in Singapore, the reason why she opted for a resale flat, and the process of finding the right flat. DollarsAndSense (DNS): Resale flats tend to be a lot more expensive and are older compared to BTO? What were the reasons why you and your husband decided to opt for one? Jeraldine Phneah (JP): Like many other young Singaporeans, I tried a few times for a Build-To-Order (BTO) flat but was not successful in my attempts. I spoke to some of my colleagues who shared with me about how they tried six times but were not able to get the flat that they wanted. Not wanting to end up in the same situation, I decided to opt for a resale HDB flat instead. There are several benefits to choosing a resale flat. Location was definitely one of the biggest plus. I got one which was extremely convenient and a walking distance from the MRT station. Furthermore, I managed to find an extremely good deal which was below valuation; on high floor; corner unit and facing a good direction. Together with the grants I received, the pricing was comparable to that of a BTO flat. The monthly mortgage we have to pay is less than 20 percent of our monthly income. DNS: What were the HDB grants that you were able to apply for? JP: At that time, my partner was not working for a while. Thus, we were lucky to be eligible for the CPF Housing Grant for first time home owners – $50,000 for couples who purchase four-room flats or smaller from the resale market, and $40,000 for those who buy flats that are five-room or bigger. On top of that, we were also able to tap on the Proximity Housing Grant of $20,000. Read Also: Singapore HDB Housing Grants 101: Which Do You Qualify For? DNS: How long did you take to find your home? JP: It took me around one year. I was tired from viewing homes as I could not find one which I liked. So, I decided to take a break for about 6 months. One day, when I was surfing Property Guru, I found a suitable listing and thought I give it a try. I visited the flat and felt that it met all my requirements. In less than two weeks, we signed the option to purchase. DNS: Buying a home is obviously a big-ticket expense. What were some of the financial planning strategies that you and your husband did in earlier years to ensure that you had enough to afford your home? JP: Housing is indeed a major concern for many of the young adults in Singapore. Our wages have not kept up with inflation and rising cost of living. If you look at the chart below, you’d see that HDB resale prices have nearly doubled from 2007 to 2017. It is great for the people who profited from this. However, it has not benefited the people from our generation. Our salaries certainly have not increased as much. What I feel would really help is to be super disciplined about your savings. I am quite a low maintenance person who does not go for branded goods and seldom buy new clothes, jewelry, bags and shoes for environmental reasons. I also rarely spend on manicures, facial and other beauty services. Due to my lifestyle, I can save at least 60% of my take home income every month. What I would encourage other young adults to do is to create a monthly budget. That is how you can quickly find out where most of your money goes to and which areas could be cut easily. To complement my efforts, I also make an effort to select the best savings account, credit card and cashback tools. In addition to saving a lot, I invest too. Around 50 percent of my savings go into investments such as equities and ETFs via a robo-adviser. DNS: How about your wedding? JP: We had a really simple and low key celebration at the Registry of Marriages at Fort Canning with our family and friends. I wore a $50 wedding gown which I got from a sale on Zalora and flowers from the wet market. As for our wedding photoshoot, we chose to do so in Vietnam because of the beautiful scenery. For a total of four outfits and a full day shoot at Hanoi and a nearby mountain, our package cost us only about $900. DNS: Aside from the cost of the flat, what were some other expenses that you had to pay for (e.g. renovation, legal fee, stamp duty, agent fee, etc)? Were you surprised by these expenses? JP: I was not surprised by these expenses. HDB website has indicated all the costs and fees involved when buying a new HDB flat. You can check out the list here. DNS: Some first-time homeowners may underestimate the cost of owning a home, beyond just the purchase and renovation cost. What were some of the cost areas that you and your husband found out after moving in? JP: After paying for your HDB and renovation costs, you would need to furnish it with furniture and appliances. So, remember to set aside a budget for that. Also, once you move in, you would need to incur regular fees from owning your own house such as town council fees, utilities bill, property tax, internet fees and home insurance. Remember to budget for these items! Create an excel spreadsheet where you can log your expense on each item and keep track of how much you’re spending. This will ensure you do not exceed your budget. You may also wish to consider shopping online on Lazada and Taobao which often have more competitive pricing compared to brick and mortar stores. The benefits? You can arrange for the items to be returned and refunded if you feel they do not meet your expectations. You can get double cashback via Shopback and your own credit card. DNS: Were you able to do anything together to help save on the cost of owning a home? JP: Some costs are fixed such as town council fees, property tax etc. However, others are not, such as utilities. We are both deeply concerned about environmental issues so that really motivated us to cut down on energy and water usage. We’ve managed to keep our utility bill at around $60 per month. In fact, due to GST voucher rebates, our bill has been negative for the past few months! Here are some things we’ve done to keep our utilities cost low. We don’t keep our fridge/freezer at the coldest setting. DNS: We are always intrigued about how couples manage their personal finances. How do you and your husband plan around this? JP: We are both believers of gender equality. Thus, we do not subscribe to traditional notions such as the man should be paying more than the woman. Instead, we believe in team work and cooperation. As much as possible, we try to split evenly or based on our income. While we do not have a joint account, we share our expenses. For instance, I pay for the town council fees, utilities bill, property tax and insurance. He pays for the internet, petrol and season parking. We both take turns to pay for groceries. DNS: Any other challenges living together in the first few months that you found? JP: I would say the main challenge for me would be around housework. I am not very good at it and find it boring. However, we’ve settled into a routine where we each specialize in tasks. For me, it would be watering the plants; feeding our pet rabbits; cooking and washing the dishes. My partner does his equal share of housework through laundry, vacuuming, mopping the floor and cleaning of the fans. Other than that, I’ve not really encountered much challenges. A lot of people say marriage life is like losing one’s freedom. Personally, I have not lost any kind of freedom and can still continue to do activities that I enjoy such as weekly house visits, monthly food distribution, going to the gym, attending wing chun lessons and going out with my friends. DNS: Any final tips or advices for young couples looking to buy their first flat? JP: If you lock all your money in your home, you may be unable to invest your money for your retirement or to enjoy life. It also makes you more dependent on your day job. As Dinesh cautioned previously, if you spend too much on a house, you would likely be living a stressful lifestyle where going out of work or getting sick may spell financial disaster for your family. When you know what you want exactly, it is much easier to make a decision based on your own requirements. You can update this list as you view more flats and get a better idea of what you want. For instance, I didn’t want to rely on aircon too much so living on a high floor was important to me. Location was super important for me too as I wanted to ensure I didn’t spend too much time on commuting daily. There is a misconception that older flats are worth paying high premiums for due to their en-bloc potential. Yes, that is true in some cases but en bloc has no guarantee. In fact, only 4% of HDB flats have been identified for SERS since it was launched in 1995. I personally took note of the risk of purchasing a flat with a shorter lease and avoided buying any flats which I felt were too old. To learn more about Jeraldine Phneah, follow her on Facebook and visit her website.